Which Variety was my Pear Tree? I am trying to identify a pear tree that we had many years ago in Berkshire. It was tall, old and produced knobbly little pears that were hard! But they were fabulous to eat once they had been bottled in syrup! This was about 30 years ago. I would love to plant another if possible? A possibility might be Hessle which was once planted all over Britain, in domestic gardens, market gardens and orchards. 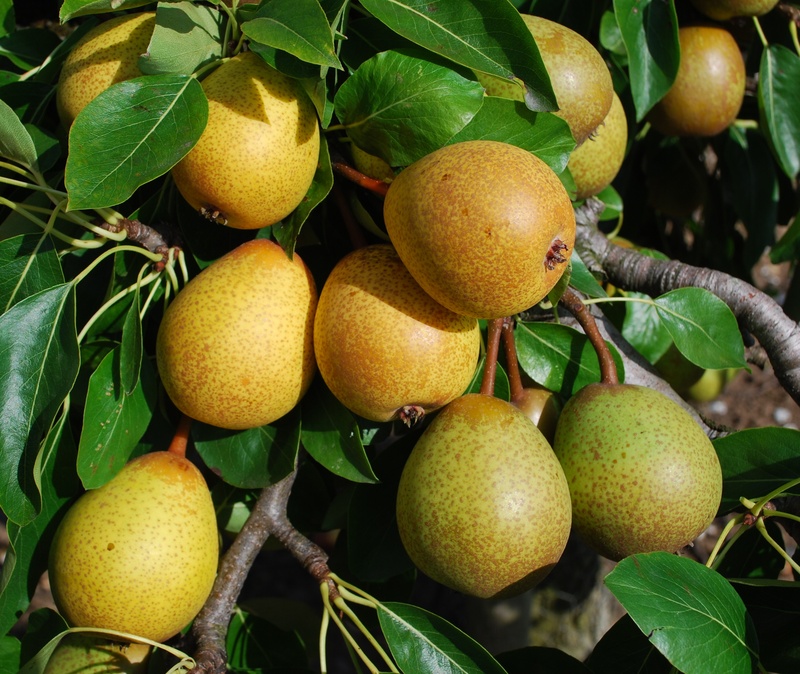 For more ideas on which variety it might be look here for photographs of some 450 pears, most of which have been grown in the UK at one time or another and now grow in the National Fruit Collection, Brogdale, Kent; also described in detail in The Book of Pears. Soleil d’ Automne Pear: does anyone know it? About two years ago, I attended a local apple day at Audley End, Essex, where I purchased some estate grown pears called Soleil d’ Automne. These were medium sized, barrel shaped, bright yellow with a very slight pink flush; well named, they were just like autumn sunshine. I would like to acquire a tree to add to my orchard but, inquiries at Audley End drew a blank, National Fruit Collection, Brogdale has no mention of it, as has The Book of Pears, nor can I find a nursery offering it. Is this a local naming or has it an alternative name? Any information on sourcing would be most useful. A long time in the making, The Book of Pears is now published. 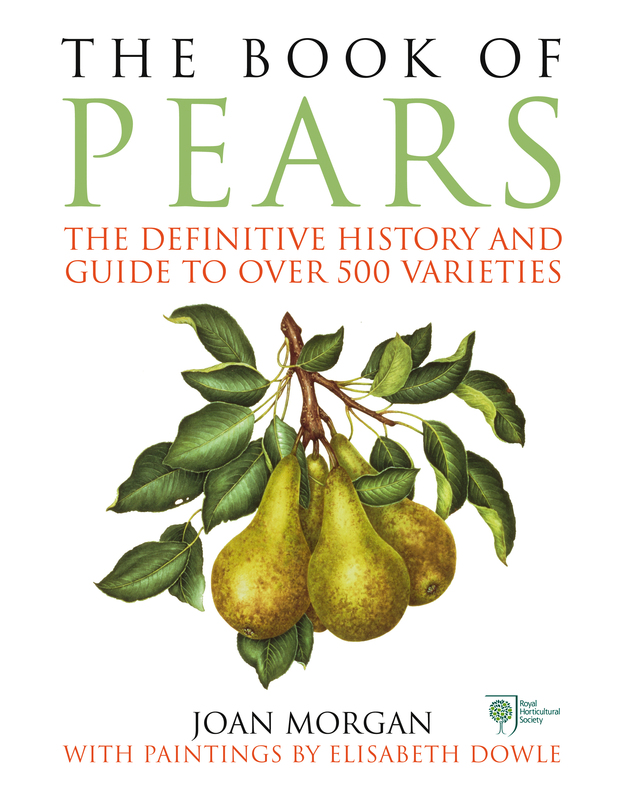 It tells the story of the pear in eight narrative chapters and contains a Directory to around 500 varieties of pear. Following the pear’s journey across continents and cultures, the chapters trace its history, the gradual emergence of its luscious textures, exotic perfumes and increasing status to that of a highly prized fresh fruit. ‘Gold to the apple’s silver, it used to be said. The pear’s role as a market fruit and international commodity forms part of the story and also the use of other pear varieties for cooking and making into the drink perry. Water colour paintings of pears by Elisabeth Dowle illustrate the chapters, plus many period images. In the Directory, which forms the second half of the book, each variety entry contains tasting notes, an account of its origin and history, a full fruit description for the purposes of identification and details helpful to its cultivation. The Directory is based on the Pear Collection in National Fruit Collection at Brogdale in Kent, UK. The website complements the book and Elisabeth’s paintings by providing photographs of almost every one of the varieties described in its Directory; impossible to include in the book itself. Together with the book, this gallery of photographs can be used to put a picture to a name and help put a name to an unknown pear. All the varieties shown on the website were photographed and grow in the National Fruit Collection (except where noted). I hope that the book and the website will prove enjoyable and useful and that they will work well together. The Book of Pears is published as a hard back and ebook by Ebury Press in association with the Royal Horticultural Society in the UK and by Chelsea Green in the USA. Available from bookshops, the publishers (Ebury, RHS, Chelsea Green) and Amazon.